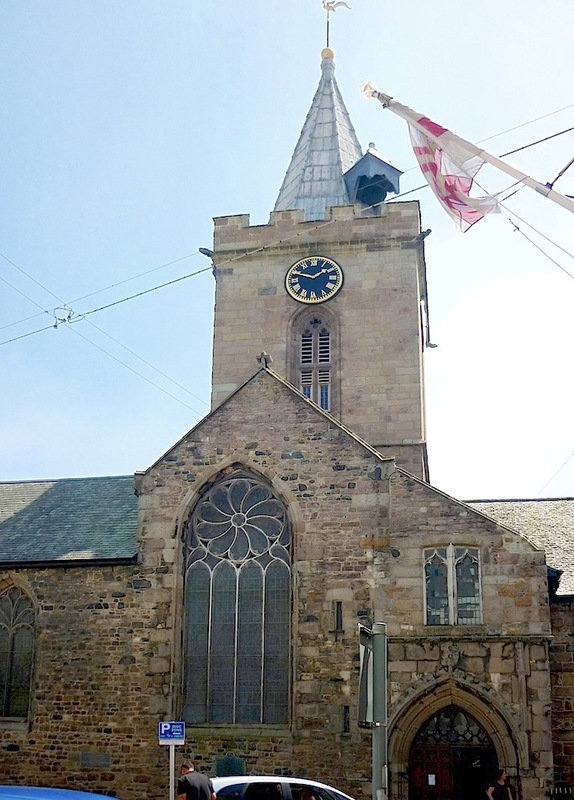 Town Church, St Peter Port, Church Square, Guernsey stands on the slope going down into the harbour, and is the most prominent feature of the attractive view of the port as one approaches it from the sea. The town takes its name from the church, the full name of which is the Church of St Peter, Apostle and Martyr. Outside, in the middle of the square, stands one of the finest statues of Prince Albert in the country, by Joseph Durham. This commemorates a royal visit of August 1846. The church has the usual long history of a parish church, and (also as usual) a history of repair and renovation during the nineteenth century too — its pulpit and font belong to the renovation of 1882. Even before that, its interior was said to present "a very cathedral-like appearance" (Duncan 356). Many of its fine funerary monuments are to be found elsewhere on this website. Photographs and text by Jacqueline Banerjee, 2017. You may use these images without prior permission for any scholarly or educational purpose as long as you (1) credit the photographer or source and (2) link your document to this URL in a web document or cite the Victorian Web in a print one. Click on the images to enlarge them. Monument to Rt. Hon. Saumarez, Lord de Saumarez, by William Whitelaw. Monument to General Joshua le Marchant, by Peter Rouw. Brett, C. E. B. Buildings in the Town and Parish of St Peter Port. St Martin's, Guernsey: National Trust, 1975. Duncan, Jonathan. The History of Guernsey; with occasional notices of Jersey, Alderney, and Sark, and biographical sketches. London: Longman, Brown, Green, and Longmans, 1841. Internet Archive. Book from the collections of unknown library. Web. 8 November 2017. 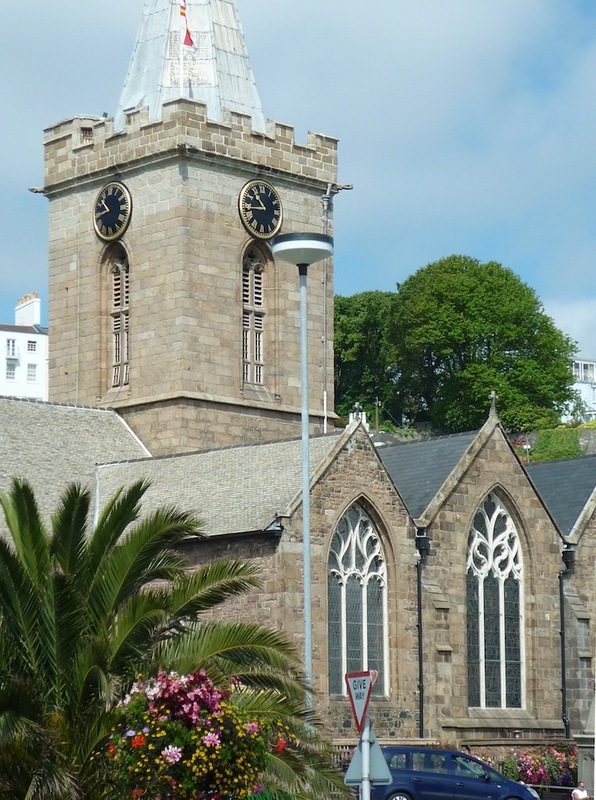 "Town Church, St Peter Port." The Island Wiki. Web. 8 November 2017.